In a large bowl, gently mix bell pepper, tomato, radish, onion, dried fruit, nuts (or seeds), and cheese. Fluff the cooled rice or grain with a fork. Season to taste with salt and pepper and add to the vegetable mixture. In another bowl whisk together the lime juice, oil, and herbs. 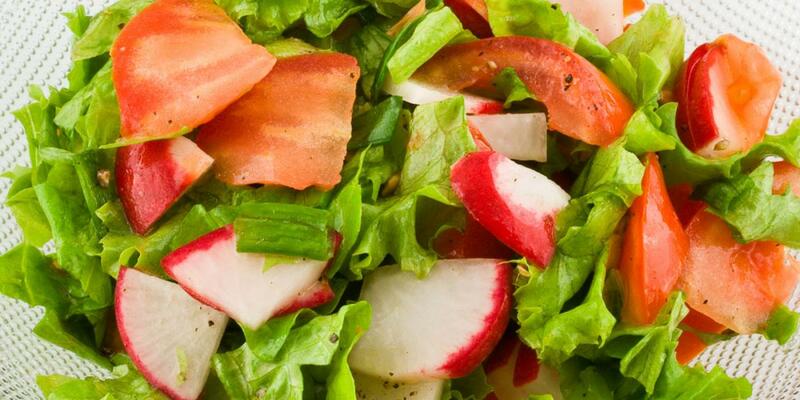 Drizzle over the salad and mix in lightly.